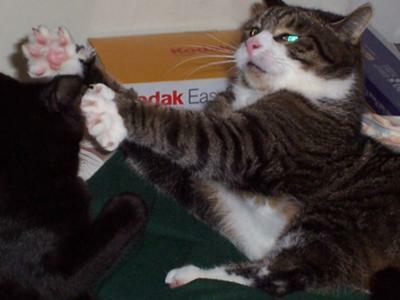 I'll fight you with one paw behind my back! Frank was one of the smartest cats I've ever met. So funny and athletic, he will always be remembered! I'm sorry to hear that Frank passed. Thanks for sharing that great picture of him with us! Return to Rainbow Bridge Memorials 2009.